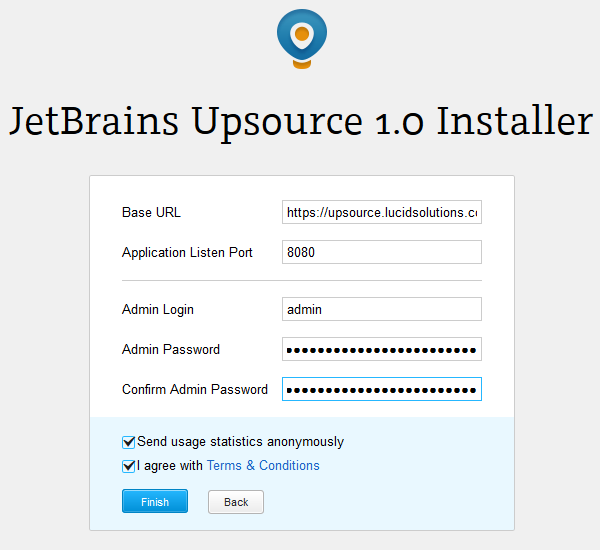 This document describes installing and running JetBrains Upsource v1.0 on a CentOS/El v7.x VM. Note: The VM has a recommended minimum RAM of 8GB. JetBrains Upsource is deployed on a CentOS v7.x VM with Nginx as a reverse proxy in front (out of scope). Note: This installation is done with v1.0 EAP code. Install Java pre-requisites (install the latest available - JDK 8.0 not available at the time of writing, and 'java-1.7.0-openjdk-headless' is not supported). Mount suitable storage for the appliance on '/srv'. 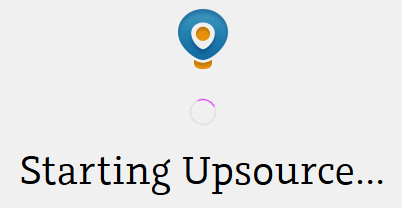 As the 'upsource' user (i.e. 'su - upsource') unpackage the JetBrains zip package into the upsource home sirectory ('/srv/upsource'). 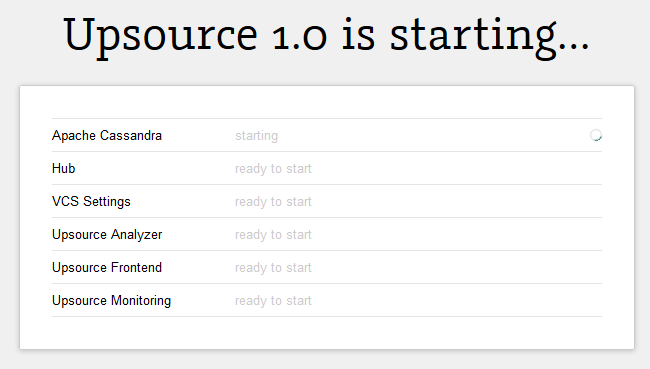 The strategy is to rename the upsource distribution with it's version number, and then provide a fixed name with a symbolic link. This allows easy upgrades and meets the systemd requirements of a fixed/well known path to binaries. Note: The PIDFile is written to the logs directory. The path must match the location confgiured for logging. During the initial configuration this is changed from being in the ditribution tree ('/srv/upsource/upsource/logs') to not in the distribution tree ('/srv/upsource/logs') so that it survives upgrades. If systemd can't find the PID file within the startup timeout it will shut the service down. Configure upsource JVM parameters to run headless. The will modify the file '~upsource/upsource-1.0.10663/bin/conf/upsource.jvmoptions'. Alternatively it could be directly edited. The following error is displayed when the services are started on a VM without X and without 'java.awt.headless=true' defined.